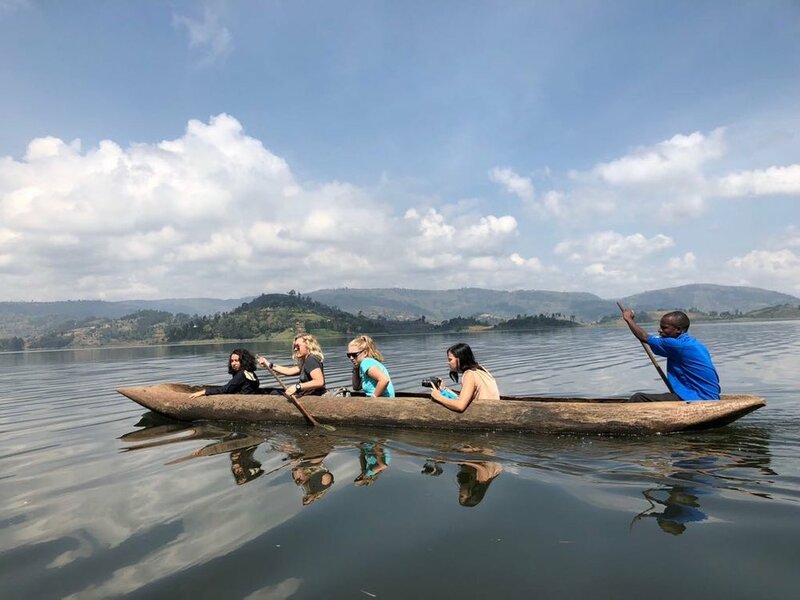 Beginning the Lake Bunyonyi Canoe Trek. 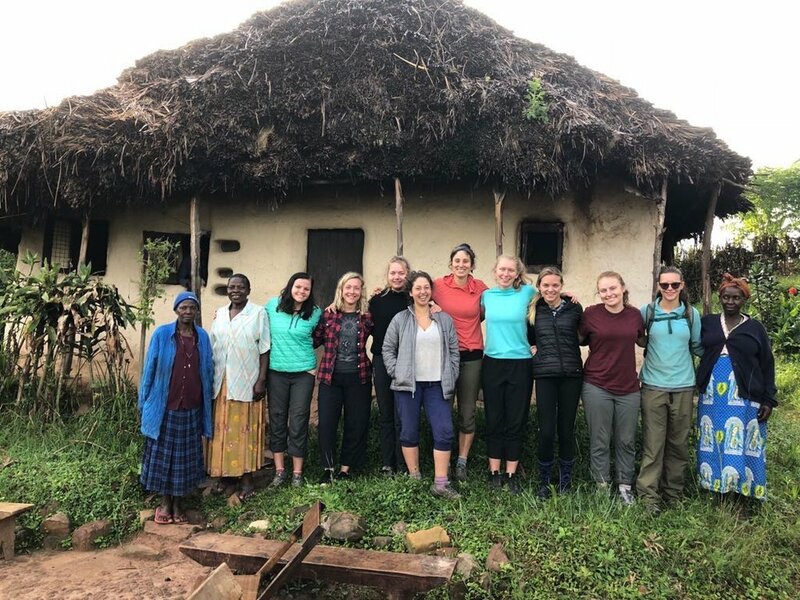 Mana Bena’s on Lake Bunyonyi. 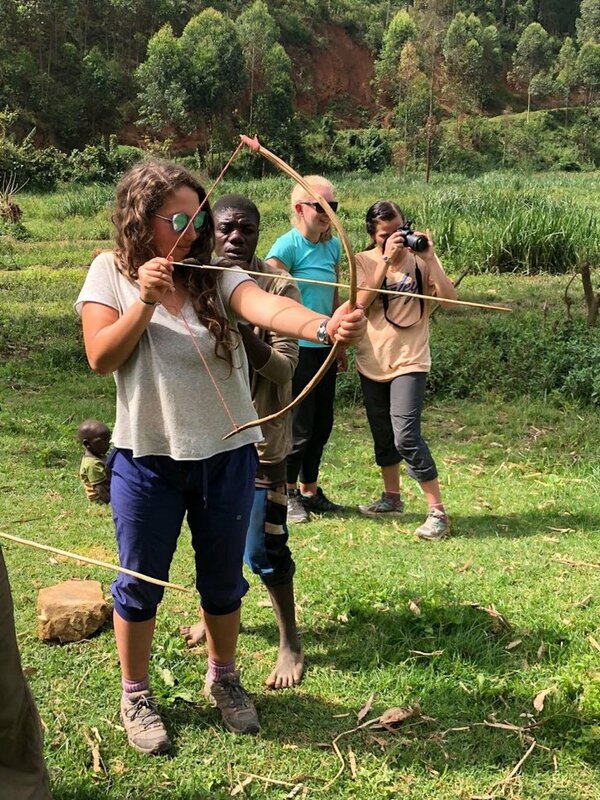 Maytal learning how to shoot a bow and arrow from the B’twa people. Peter and Morgan doing headstands at the top of the mountain we climbed during our trek. 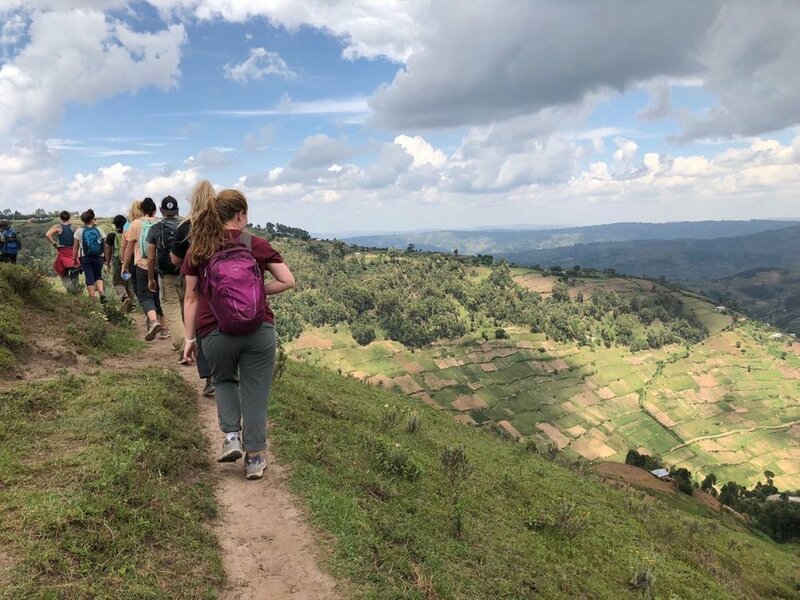 View of the coast of Lake Bunyonyi. 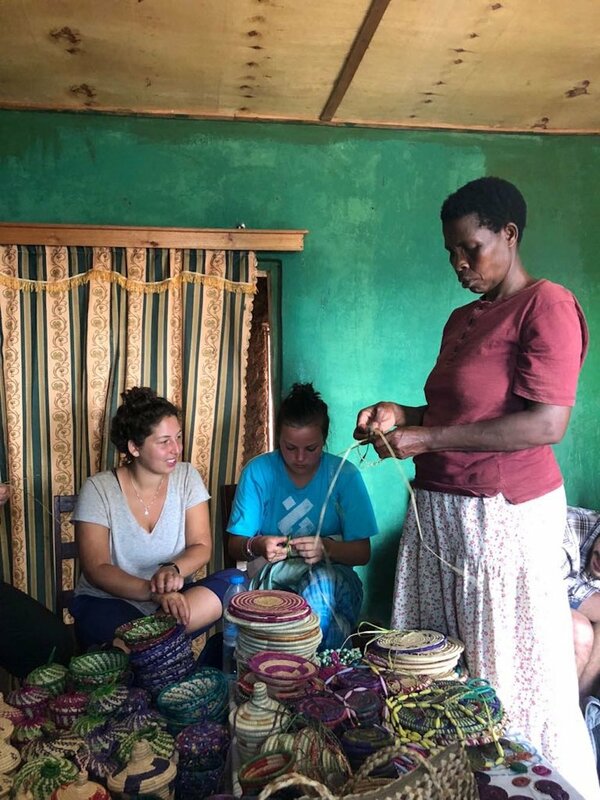 Learning how to make woven bracelets on Lake Bunyonyi.